We are less than one week until the biggest independent wrestling show ever. After months of anticipation, the show that has been the talk of the entire wrestling world will be taking over Chicago this upcoming weekend. All In was just an idea that Bullet Club members Cody, Matt Jackson, and Nick Jackson imagined at end of last year. Fast forward to August and here we are on the week leading up to it. Few thought that All In would disappoint, but who could have imagined that All In would have become this big of an event? 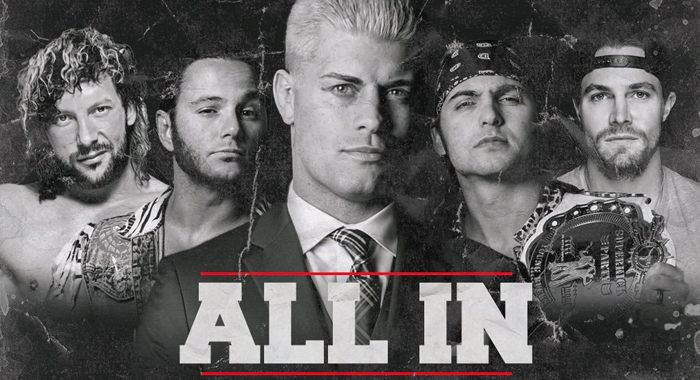 All In is proving that independent wrestling is at the forefront of the professional wrestling world right now. I will even go out on a limb and say that All In has become the indie’s version of WrestleMania.